I’m curious about how this will turn out. Love the colors. I’ve not seen that yarn. I’m curious about how it turns out. 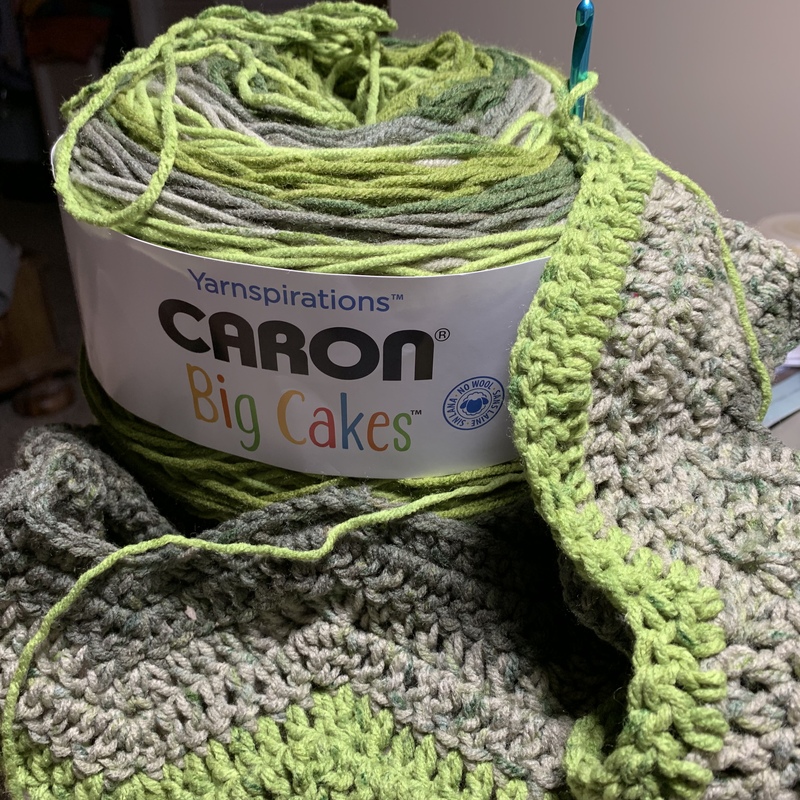 Do you cut the yarn at the end of a row prior to it changing color, pull the remaining color out and then start the next row with the next color on the skien? Or, do you just keep crocheting and let the yarn change color wherever it happens to? I’ve done both, but I personally prefer to cut. Seeing the ripple afghans makes me think of my mother. She loved to crochet and the ripple was her favorite pattern. When she passed away 28 years ago, I set aside a whole big stack of them for my girls and for any future grandkids. So they each have one of her ripple afghans now. I can’t wait to see how this works up. I have been tempted to buy that yarn and have seen many things made with it. All very pretty! I have a Ripple afghan that I friend made me as a wedding gift! I ought to get it out of the closet and use it more often. It would be just right on a cool spring evening! How much yarn does this afghan take? I have one on those cakes, but I am not sure one is enough to make a nice size afghan.